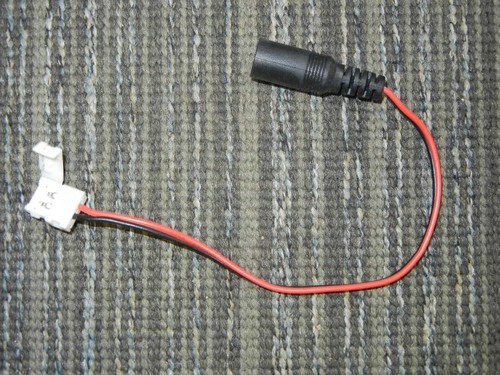 8" wire lead used for connecting single color LED counter lighting strips to power supply. No soldering required. Easy to use just use the clips at the end to connect to strip and plug other end into power supply.